YouTube is the most used search engine after Google. It is an enormous, untapped traffic source and has almost limitless potential. But how do you get people to watch your video instead of others in such a crowded place? If you consider the fact that more than 100 hours of video get uploaded to YouTube every minute, you’ll realize that you have to compete. People do it with video SEO and by not relying on their sheer hope that at least one of them will go viral. If you want to generate more traffic than your competitors, you must stop making lazy uploads and start optimizing your videos. With 30 million visits per day, YouTube is the place where you can jump in and leverage its potential to your benefit. Here, we are about to explain to you the ins and outs of how to implement SEO for YouTube and share some advice on how to rank videos in both YouTube and Google. Let’s start with covering the basics. Every SEO process begins with researching keywords. You have to find “video keywords” – keywords that lead to YouTube video results in the first page of Google’s results. Video keywords have become so sought after that Google has a chunk of its results page for displaying video results. Video results are typically reserved for types keywords such as: tutorials, reviews, funny videos, anything sport or fitness relates, and how-to keywords. If you don’t optimize for video keywords, then you’ll only generate traffic coming from users searching for YouTube videos. If you do optimize, however, you’ll be getting traffic directed at your video upload from Google’s search engine page. Find your video keywords by searching your niche, and see if any of them offers YouTuber video results. After you’ve found the right keywords, make sure to check whether achieve the necessary search volume using them. Don’t chase video keywords with huge search volumes, and try to use keywords with a least 300-400 monthly searches on Google. If it has around 300 searches every month, then it will surely get an appropriate amount of search on YouTube, but if it also ranks in Google – those monthly queries will find the video you’ve uploaded at the top of the results page. If you don’t have any expertise in creating videos, hire an expert videographer, video editor, voiceover narrator, or rent a recording studio (it depends on your needs and the job’s complexity). You can have a video that looks extravagant, but it’s actually not, thanks to modern technology. When it comes to creating video content, the important thing is that your video is attention-grabbing and that it provides some value If the video is bad, ranking high will be difficult, regardless of how optimized the video is for YouTube SEO. Using an engaging video is extremely important because YouTube doesn’t have the luxury of using backlinks to evaluate content quality. The value of an uploaded video is judged by how people react to it. Shares – The number of people who’ve shared your video using Facebook, Twitter, and other social media platforms. Video retention – For how long people watch your video. Favorites: The more people add your video to their “Favorite” or “Watch Later” list, the better. Thumbs up/down are also used as quality indicators. Subscribers: If someone had watched your video and subscribed to your channel after watching it, it’s a big signal that your video is great. Go to your YouTube Analytics to see your user experience data, and know how your uploads are performing. Also, longer videos always rank better and consistently outperform shorter videos, so try to reach the 5-minute mark. If it’s longer than 5 minutes, don’t cut it short and go with the flow. If the video is amazing, people are going to watch it no matter how long it is. After you got yourself a great video, it’s time for it to be optimized and uploaded to the service. Interested in getting the most out of your SEO campaign? Here’s what you have to pay attention to. The title of the video. When naming your video, use at least five words, so you will be able to include the full video keyword without any keyword stuffing. Video filename. Make sure to use the keyword in your video’s filename when you’re done with the video. For example, name your video “best_plugins_for_wordpress_video.mp4” if you’re interested in ranking for “best plugins for WordPress” keyword. Video description. This is a very important factor when it comes to YouTube SEO. YouTube and Google can’t listen or view your videos, but they can use the text description of it to determine their content. Once you’re ready to write a description, make sure to include the keyword in first 30 words (and include it three to four times in total), put the link at the beginning of your video, and keep the description around 300-word long. This will let Google and YouTube know what the video is actually about. Tags. You don’t have to sweat them that much, just add a few of them so your video shows on the right in the Suggested Videos section when people are watching a video that has similar tags as yours. In order to have your video generating traffic and ranking for competitive video keywords, it has to get enough views. As the view count goes up, your rankings will get higher. Don’t think about paying for fake views, because YouTube will see right through you. The views have to be genuine, and you can get them in several ways. Embed your video in blog posts. Whenever you write a guest post for another website/blog or for your own blog, find a way to embed your YouTube video into it. It will get your readers to watch it and add a few dozens or hundreds of high-quality, real views. Share your video with online communities. Online communities like LinkedIn or Quora are great places to gain traffic from. There are open to people who share helpful YouTube videos, however, if you start dropping your videos to their content carelessly, they won’t take it too kindly. Getting views from your targeted communities is priceless to your YouTube ranking. So, find an online community, look for a specific question that your video offers an answer to, and suggest that people should watch it if they want more info on the subject. Seeing how so many people are making big money of off YouTube, it was only a matter of time that methods of promotion and marketing, such as SEO, found their place in this segment as well. 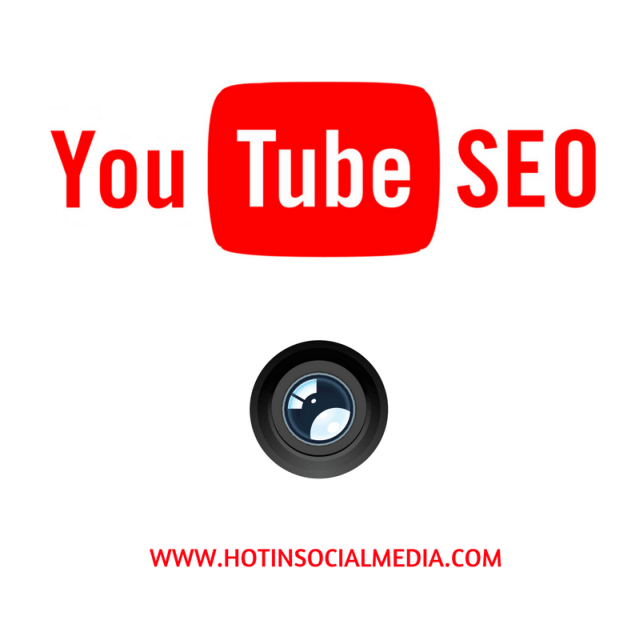 When asked about YouTube SEO, representatives from this SEO agency Sydney told us that this is a vast, relatively new market that is bound to yield new challenges. YouTube generates billions of page views per month, which provides enormous traffic to various blogs and websites. Things are obviously too crowded, so you have to optimize your video and enable YouTube users to get to your video in their specific searches. Unless you’re a big company or brand and have a well-established brand name, simply uploading a video is not enough. Blake is a marketing consultant, specializing in content marketing and SEO. When he's not on his computer, he likes to read, go hiking and play soccer.